The Shoprite Checkers Strokes of Genius project is an innovative art initiative that recognises the immense wealth of artistic and cultural talent existing in South Africa and aims to develop this largely untapped source of job creation opportunities and entrepreneurial expertise. 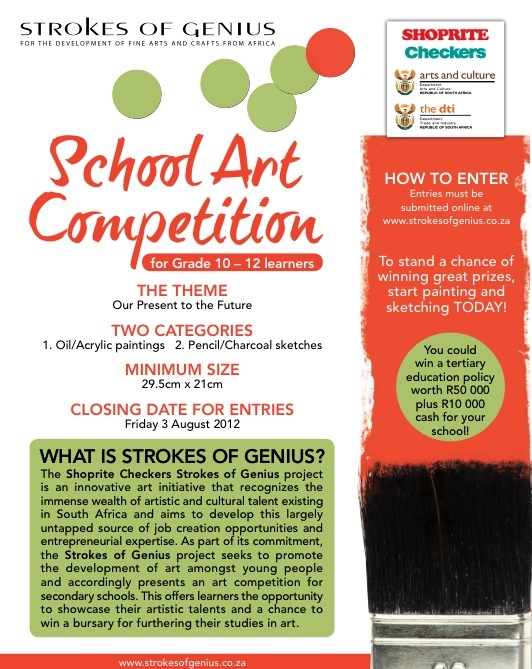 As part of its commitment, the Strokes of Genius project seeks to promote the development of art amongst young people and accordingly presents an art competition for secondary schools. 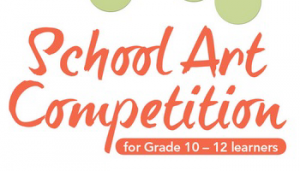 This offers learners the opportunity to showcase their artistic talents and a chance to win a bursary for furthering their studies in art.